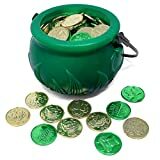 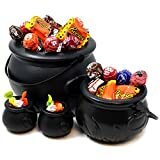 This Halloween or anytime you wish to brew up and serve a concoction of green glowing magical bubbling potions or much less fun chilis, soups, and beverages, look no further than this cool new Witch's Brew Serving Cauldron. 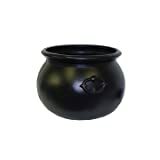 This spooky black cauldron is made from ceramic, sits upon a cast iron broomstick handle with plastic bristles, and includes a colorful ladle. 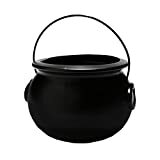 It can serve up hot or cold liquids and foods or just use it as a handy trick-or-treater candy bowl. 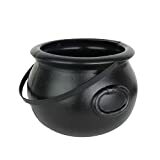 It really is getting harder and harder to come across a good cauldron these days.